How are market-leading products born? Successful innovations may end up reaching a mainstream audience, but they never start off that way. That’s the paradox of innovation most entrepreneurs fail to embrace—the typical people in your market are not the ones you need to woo when bringing your idea to life. Instead, find the “superfans” hidden in your audience: Those willing to take risk and put up with a messy or incomplete prototype in order to start solving the problem your product will eliminate. Show your idea to these people. What do they love about it? Where does it seem to go in the wrong direction? Allowing these early fans to “play” with your idea gives you fast, accurate answers to your most pressing questions long before your product is built. That’s where Game Thinking comes in. In this groundbreaking book, Amy Jo Kim lays out a step-by-step system for crafting products that people love...and keep loving. The secret? Develop “impossible to put down” products by using techniques that the fast-moving games industry employs when making games that glue millions of players to their screens. 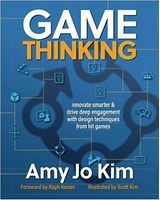 During her time working on genre-defining games like The Sims, Rock Band, and Ultima Online, Amy Jo learned that customers stick with products that help them get better at something they care about, like playing an instrument or leading a team. 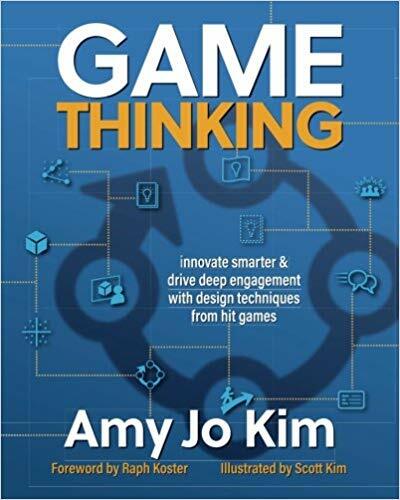 Amy Jo has used her insights from gaming to help hundreds of companies like Netflix, Disney, The New York Times, Ubisoft and Happify innovate faster and smarter, and drive long-term engagement. Get your hands on Game Thinking, and start innovating smarter today.